Avira Free Antivirus for Android is developed by Avira Operations. Avira is a German-based security software vendor which focuses on providing award-winning Antivirus, Internet Security, Privacy, Identity and Performance software and tools for all the major operating systems, servers, and networks. The company was established in 1986 and since then successfully leads the security market. Avira offers a variety of applications that secure Android devices and enhance their performance for Android users. The applications include Avira Antivirus Security, Avira Optimizer for Android, Avira Password Manager, Free QR Scanner by Avira, Avira AppLock+, Avira USSD Exploit Blocker, Avira Phantom VPN, and Avira Home Guard. As do most of the mobile security providers, Avira follows the freemium model and offers its basic Antivirus features for free, that can be upgraded to the next level – Avira Antivirus Pro. The premium package starts at $7,99 for one year and covers a single device. 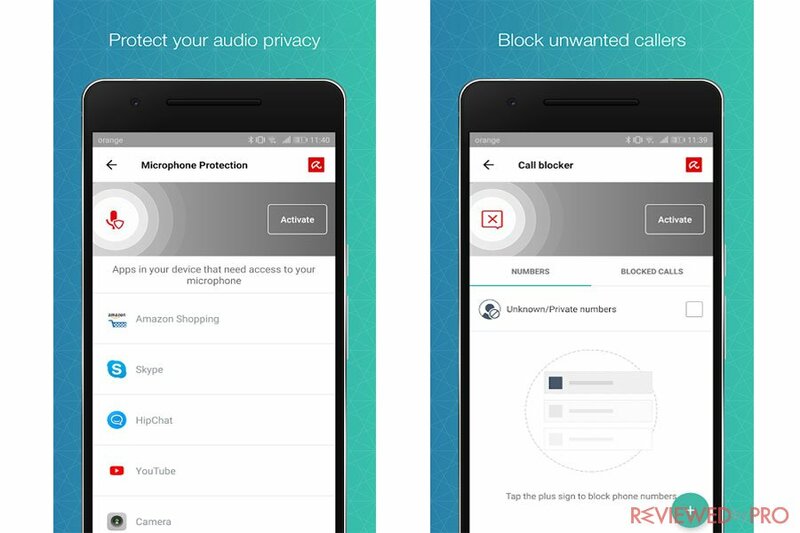 Avira Free Antivirus for Android and Avira Antivirus Pro can be downloaded from the official Google Play app store. The application has more than 10,000,000 installs already and is rated 4.5 out of 5 stars. Avira uses the same malware detection engine in its' both, free and premium applications. We tested the application on highly infected Samsung Galaxy S8 G950F 64GB. The antivirus software detected all of the viruses and malware installed. In addition, it detected and blocked all of the attempts to download and install infected applications. 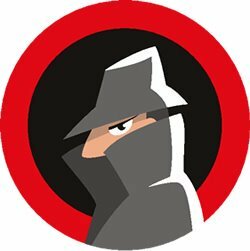 According to the independent German-based testing lab AV-TEST, Avira Antivirus demonstrated nearly perfect malware detection results, as it detected 99.9% of the latest Android malware in real-time, and 100% of the latest Android malware discovered in the last 4 weeks (April 2018). Avira Antivirus has delivered only a single false positivity, while the market average is 10. 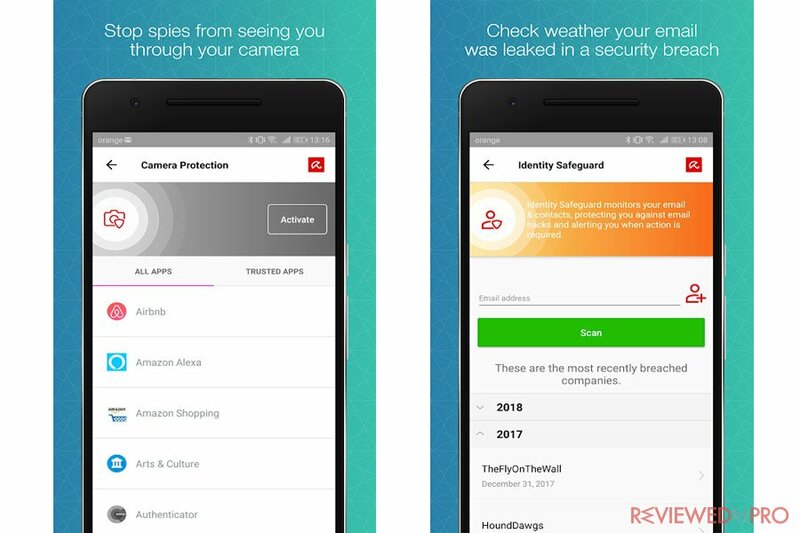 As a free application, Avira Antivirus Free for Android offers users a very decent set of security and privacy features. The application includes Antivirus and Privacy protection features, Anti-Ransomware protection, Anti-Theft, and recovery tools that trigger a siren to locate the device, tracks the missing device, locks specific applications to prevent third-parties accessing personal data, remotely locks or wipes the device memory and prompts the person who has your smartphone to contact you. The application also includes identity safeguard and blacklist features, and web-based management portal. In addition, if you want even more you can get a premium version that includes Camera Protection, Additional browser security, More-frequent updates and Premium technical support. However, it does not include Parental Controls or Backups. According to our small test, we did not notice any negative impact on the battery life or slowdowns during normal usage. In addition, the application also does not generate too much traffic, as AV-TEST indicates. It also did not slow down the device during the normal usage or using the most common applications. Avira Free Antivirus for Android automatically scans newly installed or updated applications for hidden malware. It also enables users to scan external storage units, such as SD memory cards. The scan results are very informative and display how each app rates on a privacy scale. The full system scan for us took an average of 40 seconds. The scans run smooth and do not cause any lags or interruptions. 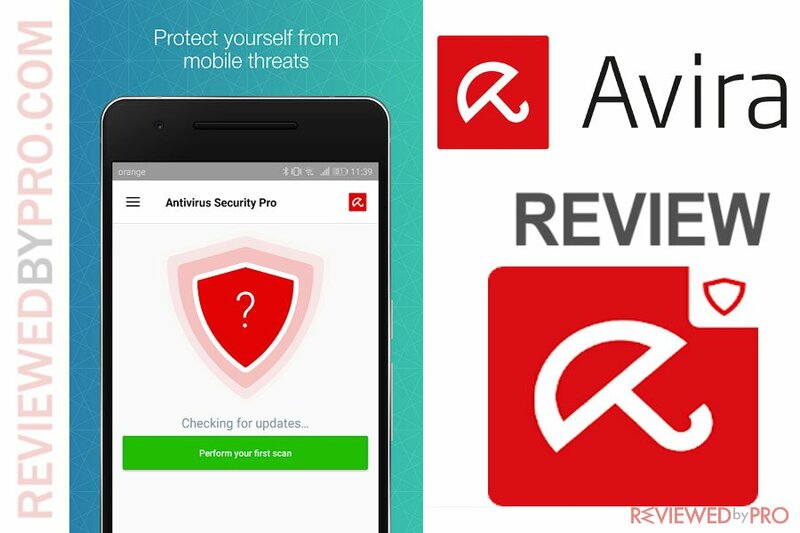 Avira Free Antivirus for Android does not include free customer support, if you want to reach Avira technical experts, you will have to purchase the premium version. However, Avira has a very informative website, FAQs section, Security Workbook and more, if you want to look for answers by yourself. Avira has a very well-designed user interface which also looks very modern. It does not indicate too much information, has a nice visual appeal and is very easy to understand. 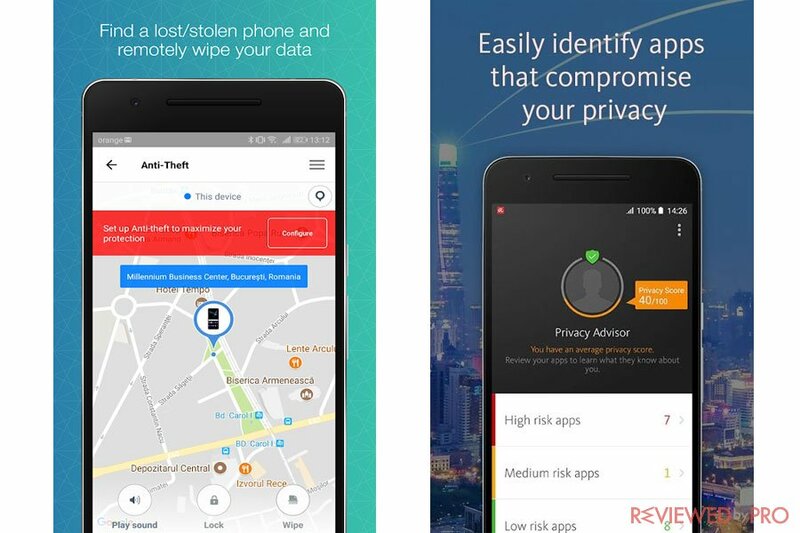 Avira Free Antivirus for Android is a great choice for those who look for a reliable mobile antivirus, with a full range of Anti-Theft features. The application is very easy to use, includes many additional features, superior antivirus protection, and is totally free! ^ Avira Antivirus and Security. Google Play. ^ Avira Test Results. AV-TEST. This entry was posted on 2018-06-08 at 08:30 and is filed under Security.